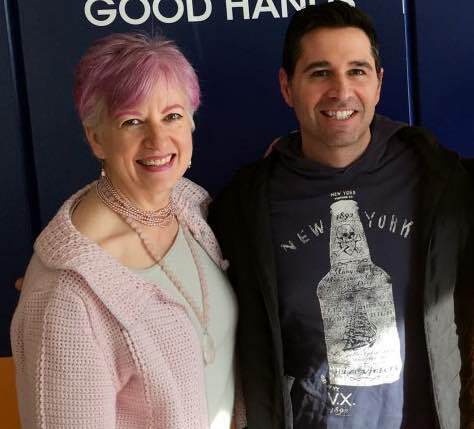 Host Frank Fontana welcomed Anne back to his top-rated WGN Radio program this past Sunday to talk about the biggest secrets for great work and business relationships in 2017. Now, you can hear all the tips and insider knowledge she shared on the show’s podcast. Anne’s segment starts at 45:40. Anne opened her segment with a business analysis for one of Frank’s guests, Mary Nisi, president of the Chicago-based DJ company Toast & Jam. “My jaw’s on the ground, I’m so excited!” Nisi said. Anne started by looking at Nisi’s sign and her biggest business opportunities for this coming year. Then she analyzed one of the major cycles now in play that’s affecting business relationships and partnerships. During the conversation, Nisi revealed that the cycles Anne talked about aligned perfectly with how her business started a dozen years ago and how it’s changing dramatically right now. “This is your year to take it to the next level,” Anne said. For the rest of the show, Anne and Frank took several calls and texts, sharing tips and solutions for all kinds of questions and issues. Along the way, Anne spoke about more relationship secrets and keys to improving interactions with others, both on the job and in our personal lives.